SUPCASE's Unicorn Beetle Pro for the Apple iPhone 7 / 8 packs a serious protective punch. A thermoplastic polyurethane core comes together with a polycarbonate shell to provide cushion during accidental drops, and sturdiness to hold it all together. All phone ports and input areas are shielded to block dust and debris entrance, and a built-in screen protector protects the screen from scratches and damage. 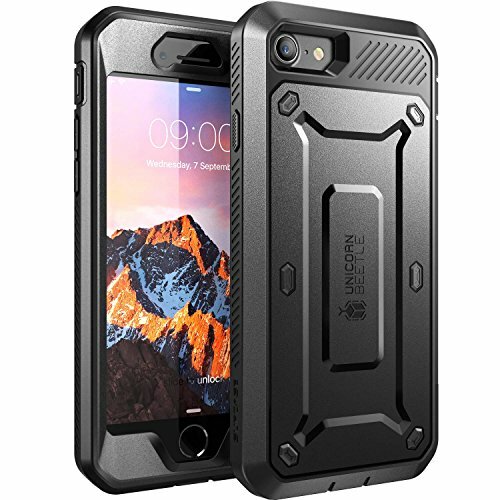 This case is designed to withstand heavy use and demanding conditions. If you're looking for a case to trust and push to the limits, the SUPCASE UB Pro is here for you.